The replacement, probably called α750, is expected to be released before or at PMA (February 21-23, 2010). The initial rumors were for a CES announcement (together with the α450). 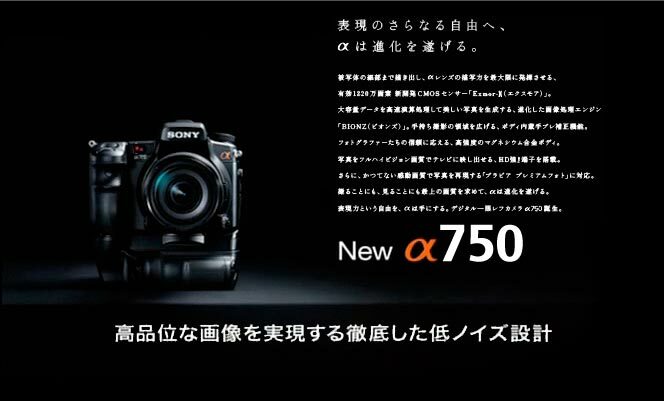 The Sony α750 is not expected to have video recording capabilities. The other interesting part in the above picture is that the new Sony α450 will not be available for sale in the US (not listed on Sony's US website). 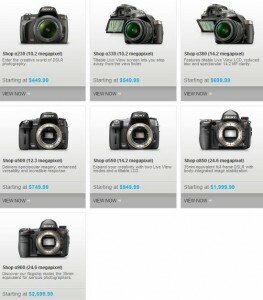 This entry was posted in Sony and tagged Sony A750, Sony α750. Bookmark the permalink. Trackbacks are closed, but you can post a comment.